Form Fill Seal (F.F.S. 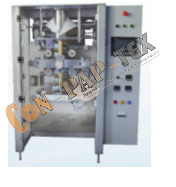 ), packaging machines manufacturer, applies on food industries, pharma industries, beverages industries and many more. Featuring with low power consumption, air compressor with including stainless steel parts.